We recently took part in the Inflatable 5k Run on Saturday 1 April at the Showground in Peterborough. With some sponsorship still to come in we are proud to say that we have raised over £2100 for local charity Sue Ryder Thorpe Hall Hospice. The event involved a 5km course with 10 huge inflatable obstacles to negotiate and a team of 20 of us took part. It wasn’t an easy challenge but everyone enjoyed it and had a lot of fun. We chose to support Sue Ryder Thorpe Hall Hospice as we wanted to raise money for a Peterborough-based charity and Thorpe Hall is a place close to many of our hearts. We are so pleased we managed to raise such a lot to help the hospice continue its amazing work. 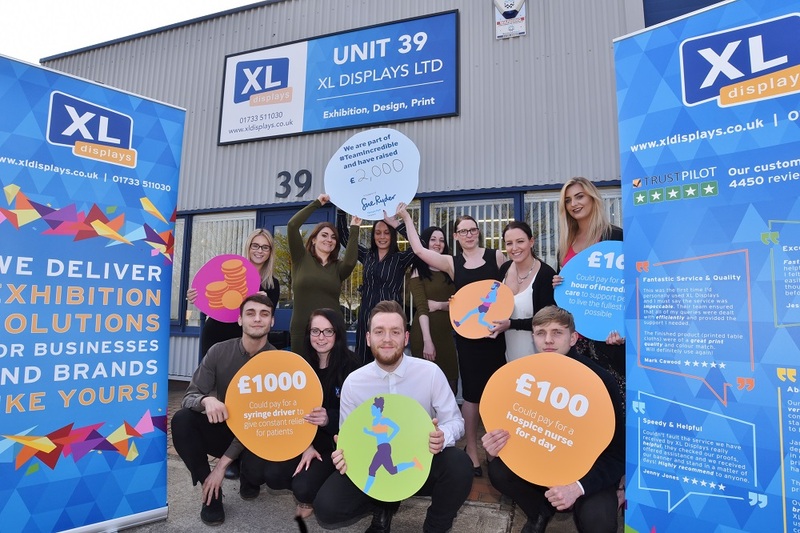 Nilesh Patel, Hospice Fundraiser, said: “We were delighted to welcome the team from XL Displays to Team Incredible for this event which looked pretty gruelling but a lot of fun! We're so grateful to the whole team for getting behind their work place initiative to support us.